The Majestic screened its last film in 1973 and the theater went dark. The Hoblitzelle Foundation gifted the Majestic to the City of Dallas in January 1976. After major restoration, the Theatre reopened on January 28, 1983 as a performing arts venue. 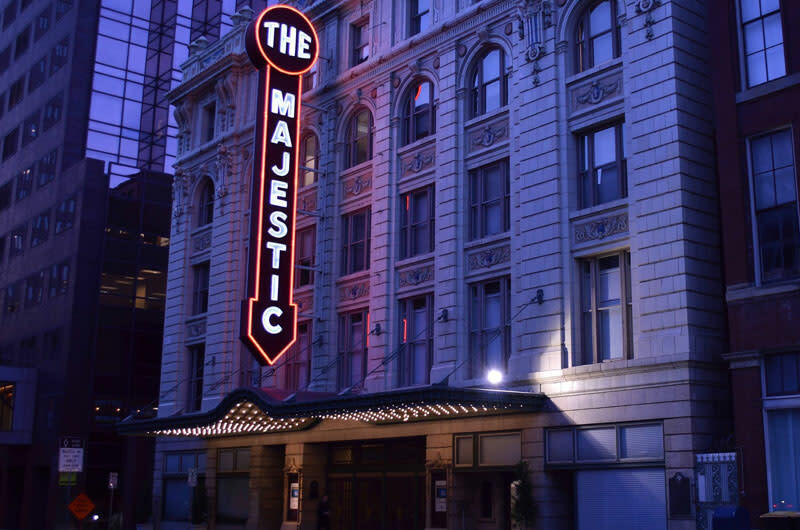 One of the most elegant performing arts venues in the southwest, the historic Majestic Theatre hosts shows ranging from nationally touring concerts and comedy acts to locally produced cultural events and fundraisers. The Theatre is also avaialble for corporate meeting and private functions. The historic Majestic Theatre is available for public and private events. With a capacity of 1704, the Majestic is ideal for many concerts, comedy shows, stage shows and performing arts events. The facility is also used for corporate meetings, nonprofit fundraisers and private events. In addition to the main theater, the Terrace Room, located on the second floor, is suitable for meetings, VIP receptions, Meet and Greets and small seated dinners. Maximum capacity 100 seated and 200 standing.